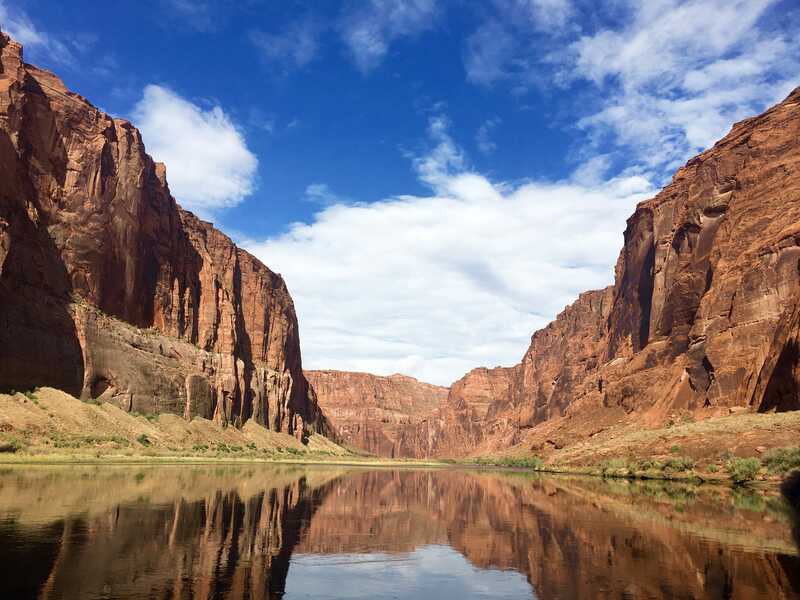 Looking to plan the ultimate southwest road trip? 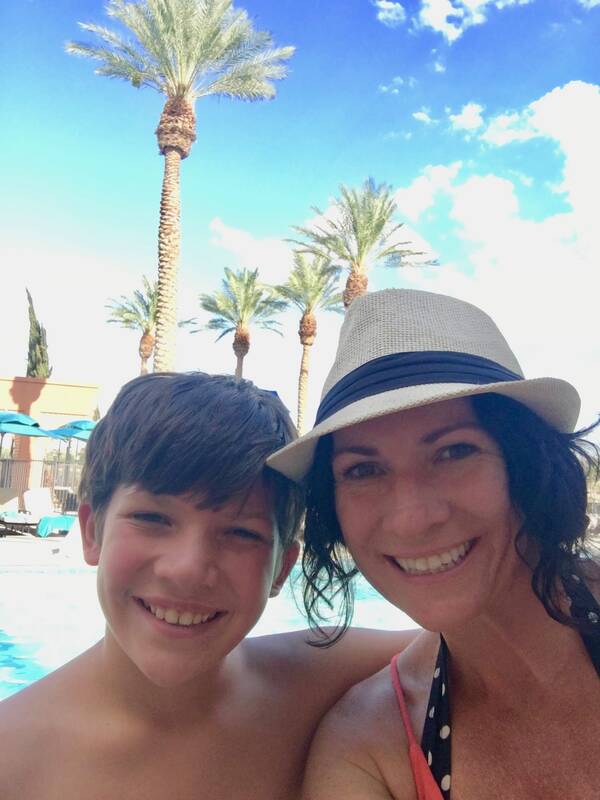 When we were trying to decide what to do for our family vacation last Summer, we started by making a list of all the different places we wanted to go. 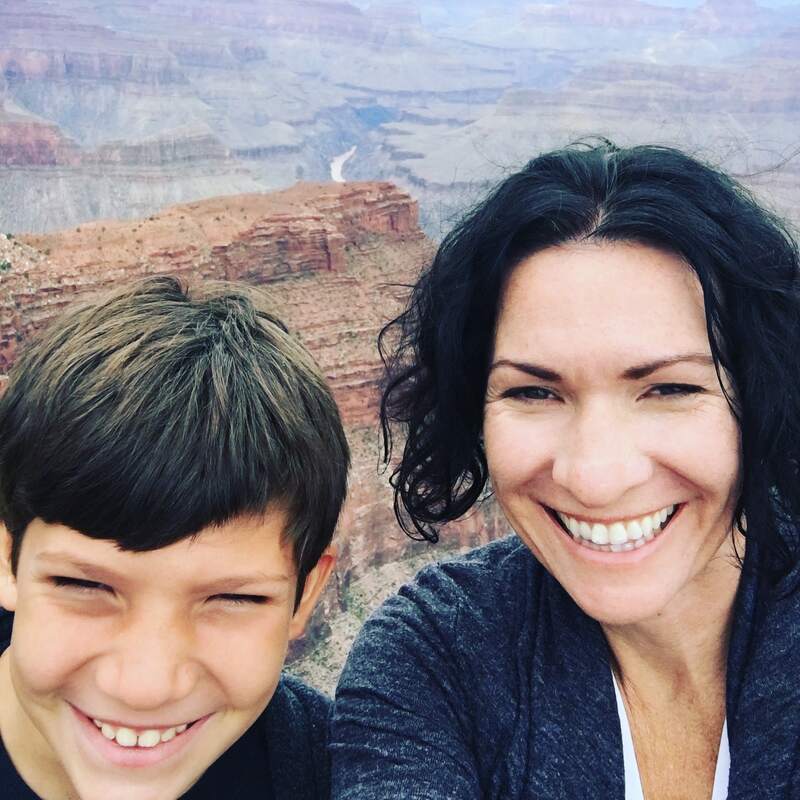 Luke wanted Disneyland, Jeff wanted Grand Canyon, I wanted Mount Rushmore and it occurred to me that we had never taken a road trip outside of California and we had never even been to a National Park together before. 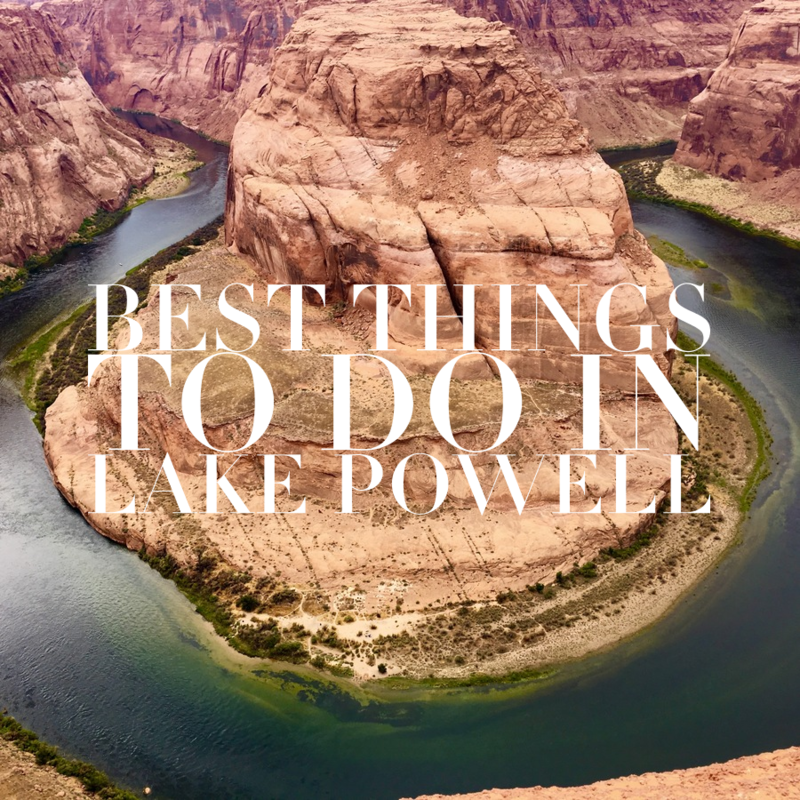 If you’re looking to take a road trip through the Southwest but don’t know where to start, this post will equip you with some ideas on where to go, where to stay and what to see along the way. If you plan to visit more than two National Parks, order a National Park Pass from recreation.gov/pass, and save yourself tons of money on park entrance fees. The pass is $80 and covers the driver and all passengers in the vehicle. 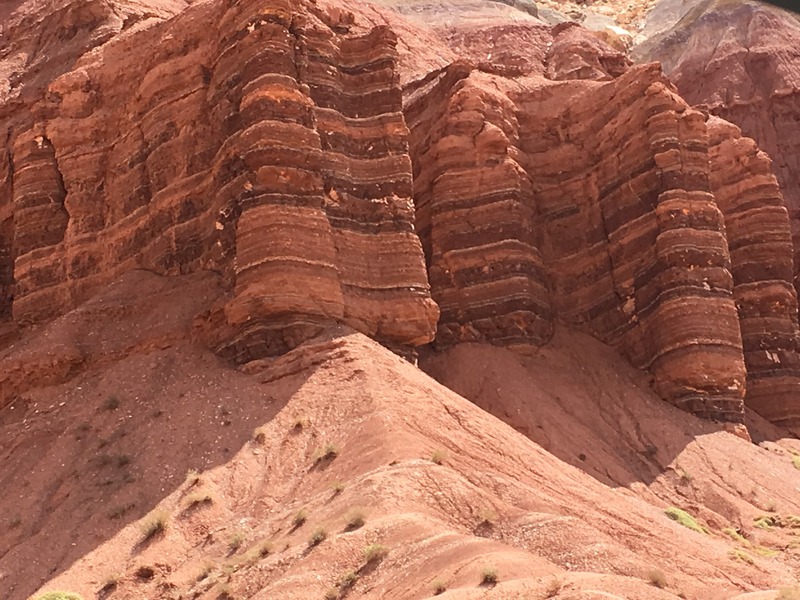 Grand Canyon was the first stop on our ultimate Southwest road trip and it was about an 8-hour drive from LA. Every American needs to visit the Grand Canyon at least once. Photos don’t begin to do it justice. 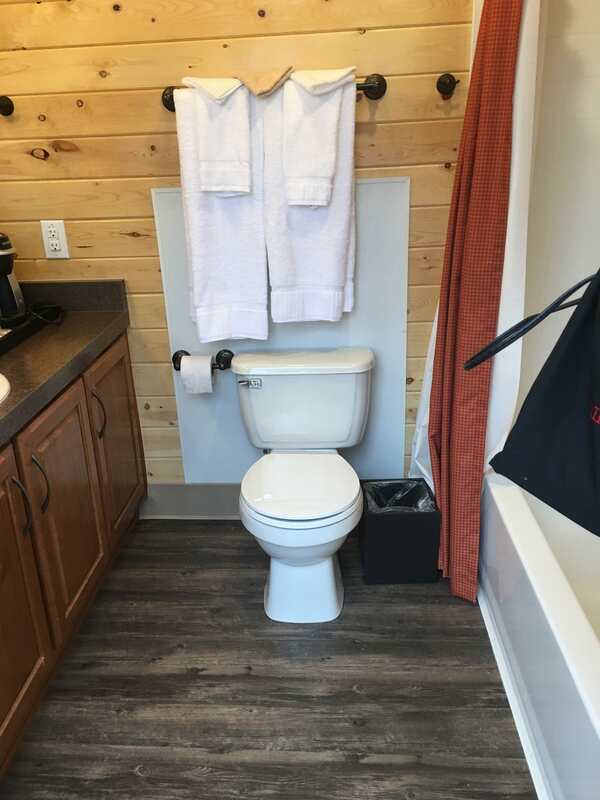 Accommodations in the area are pretty basic. 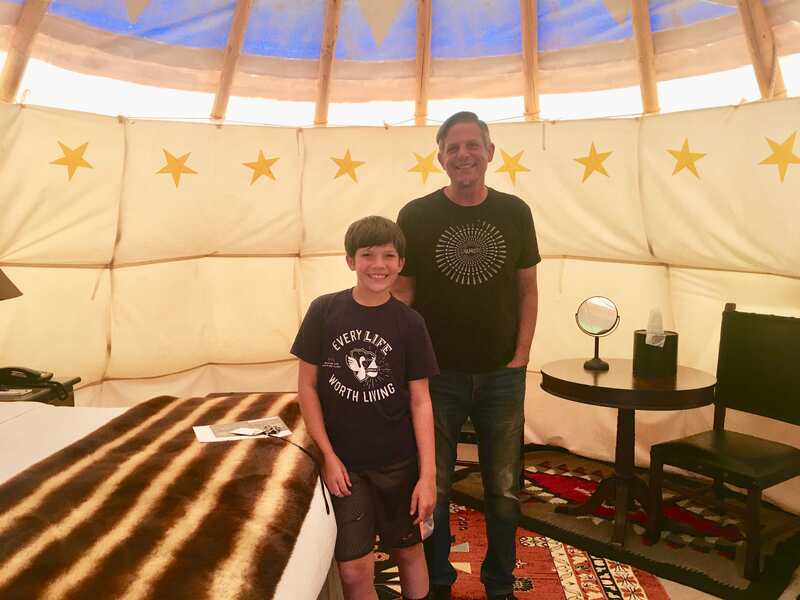 We stayed at the Maswik Lodge. 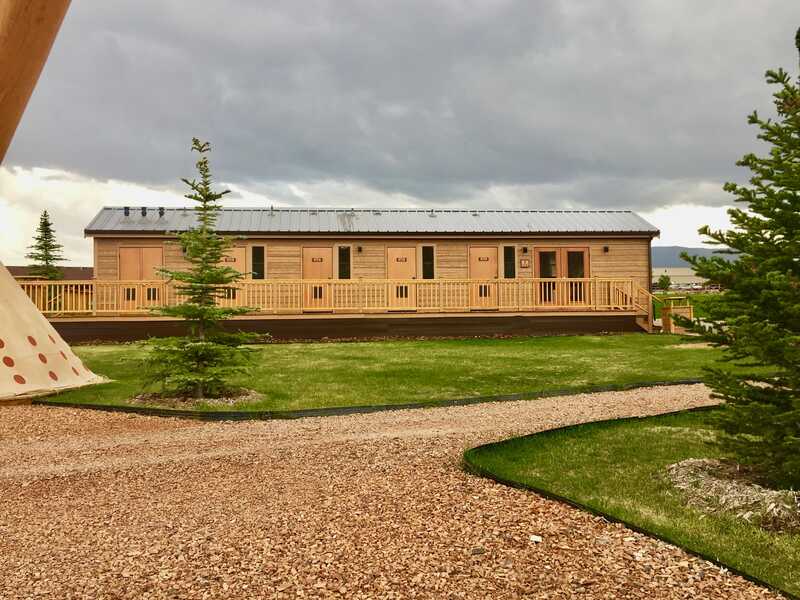 It is not a luxury property but has the basics necessary for a one-night stay on a road trip. 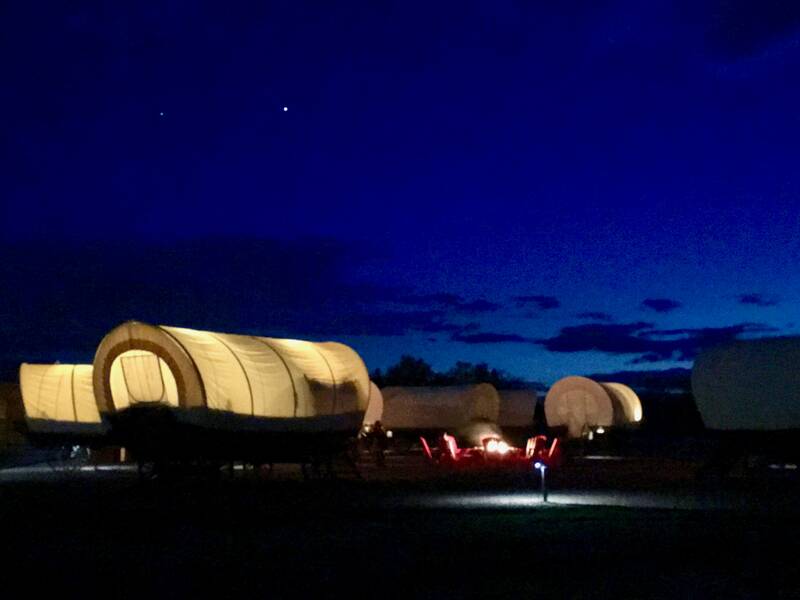 Jeff had planned for us to take the crazy scary Mule Ride around the North rim, but luckily for me, he reserved the wrong date so we didn’t have to go. 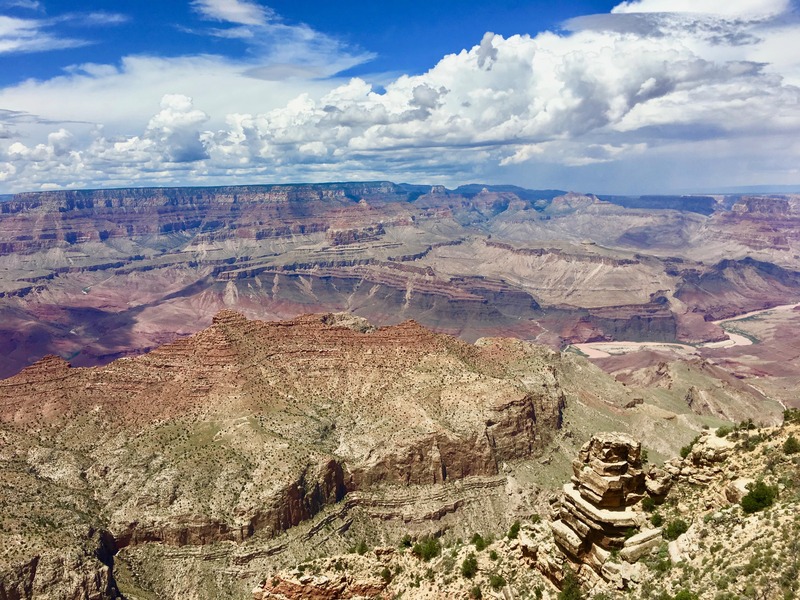 It would have been my worst nightmare, can you say “no guard rails?”, but if you are the adventurous type, I would imagine there is nothing more thrilling to do while at the Grand Canyon. Make reservations early, they fill up fast. If you’re like me, you can take the Guided Bus Tour instead that takes you up to Hermit’s Rest. 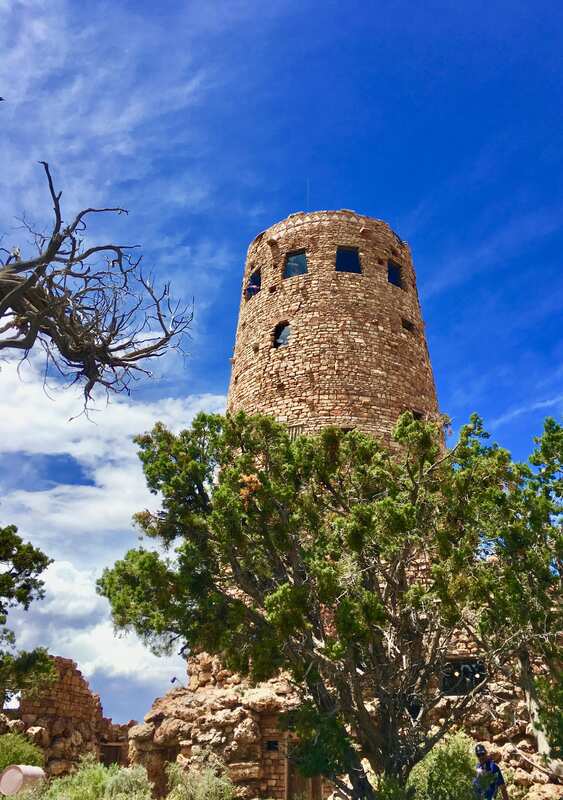 On the way out of the Grand Canyon, you can climb up the Desert View Watchtower and experience spectacular free viewpoints from the top of the tower. 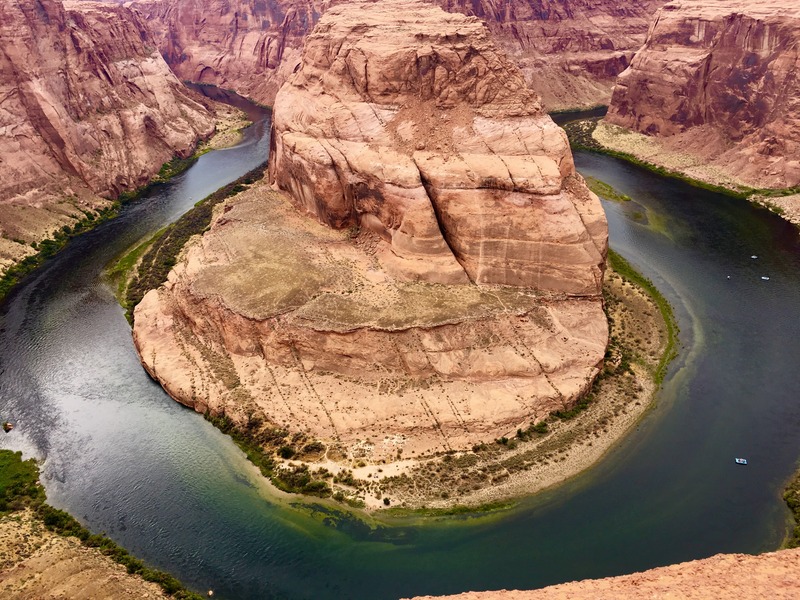 We left the Grand Canyon around noon and reached Horseshoe Bend, which is just 4 miles outside of Page, Arizona, in about 2 hours and twenty minutes. 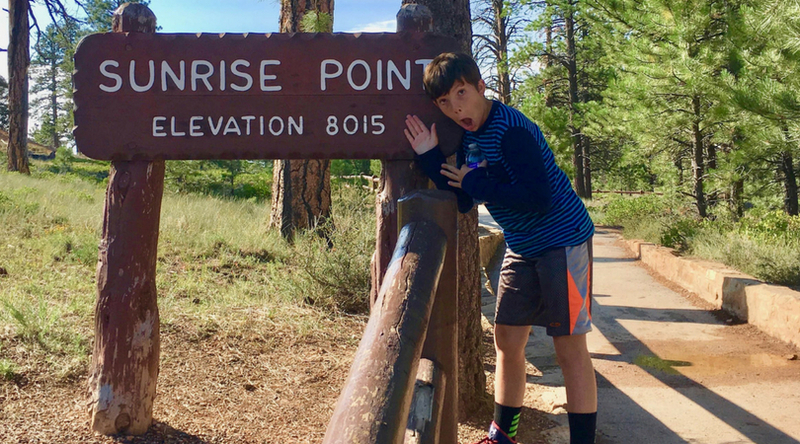 It is just off of Highway 89, you can park your car and hike 3/4 of a mile to get to the overlook. The hike is a bit challenging because it’s in the hot sun so be sure to bring water, but the view is so worth it. There are no guardrails either so you are face to face with a 1,000 foot drop. Take caution and you’ll have a spectacular front row seat to this amazing work of nature. From Horseshoe Bend, we continued on to Lake Powell Resort, just 20 minutes away. 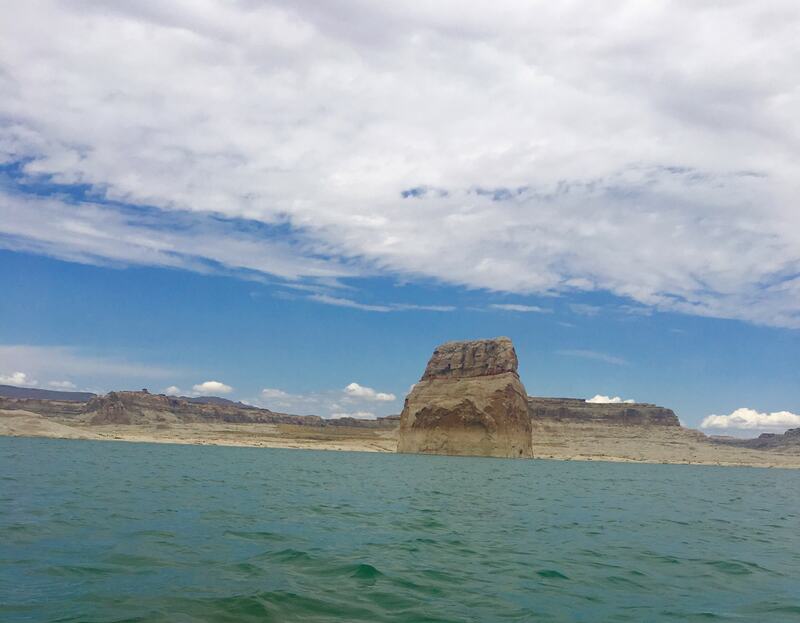 We decided to spend two nights in Lake Powell because there were so many excursions we wanted to experience there. 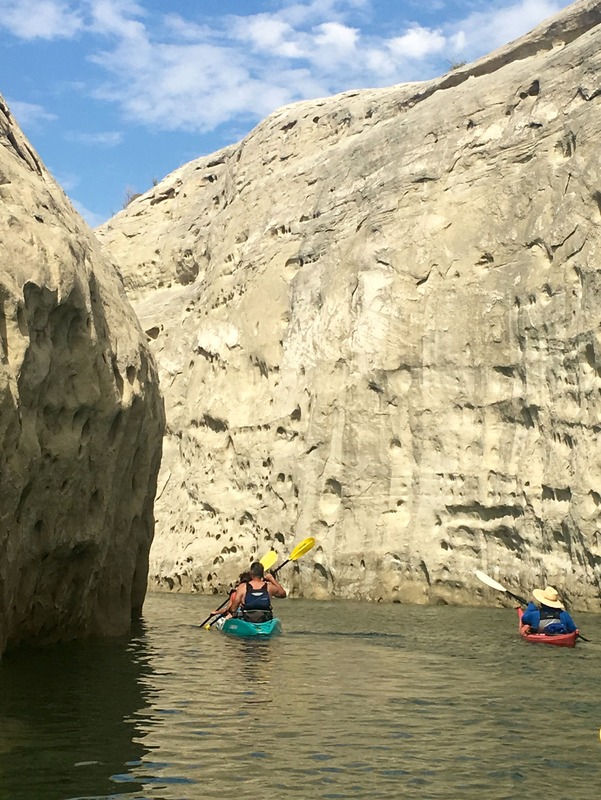 We woke up the next morning and went on a river rafting tour that began at Glen Canyon Dam and took us around Horseshoe Bend. 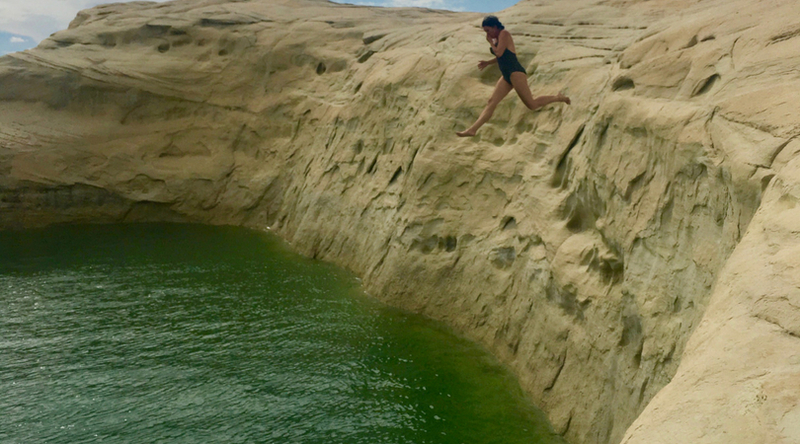 Then in the afternoon, we took a kayaking tour of Lake Powell where we jumped off a cliff. It turned out to be the highlight of our trip. 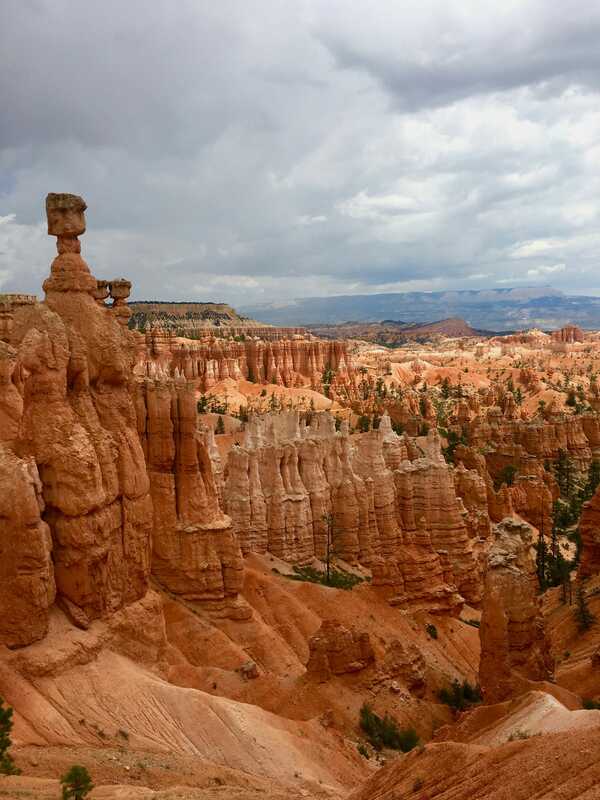 The next stop was beautiful Bryce Canyon where the views will absolutely take your breath away. 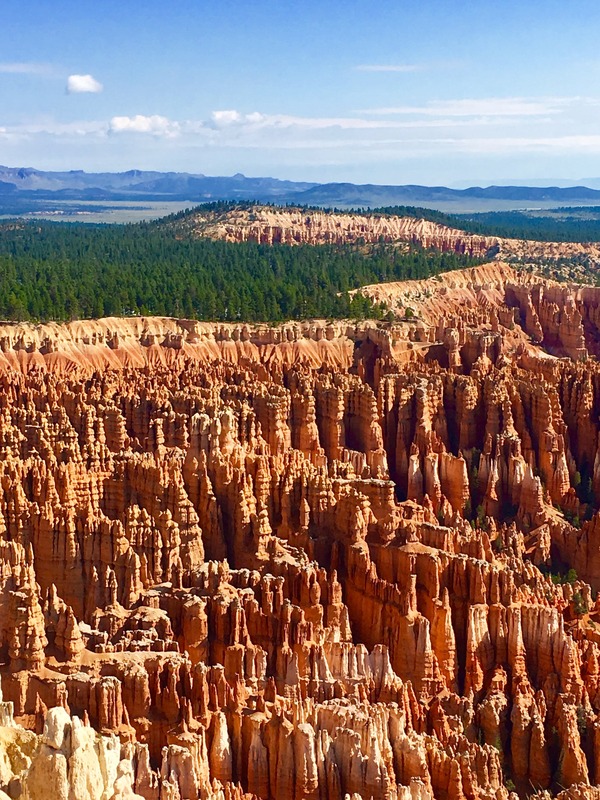 The lovely orange fingerlike peaks are called hoodoos and they are concentrated in amphitheaters in Bryce Canyon, which not only makes for a stunning Insta opportunity, but you can elevate your adventure to a whole new level when you decide to hike among them. Full disclosure- my family and I are NOT hikers. Not. Even. Close. My eleven-year-old son gets bored easily and my husband and I don’t get super thrilled at the thought of overexertion. but hiking Bryce Canyon together was, hands down, one of the most memorable experiences we have ever had together. Pay extra attention to drinking enough water and take some ibuprofen if necessary to avoid getting altitude sickness. Being 8,000 feet and hiking does not bode well for beach dwellers like us. I ended up super sick the next two days of our trip. 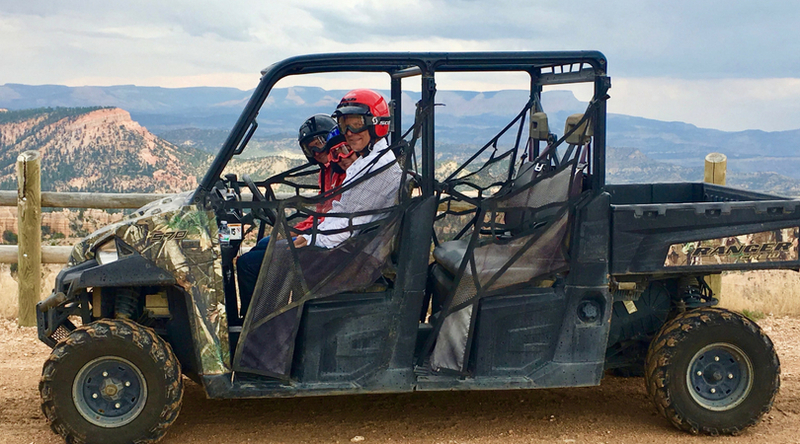 Aside from hiking, you can also go horseback riding or take an ATV or Jeep ride along the rim, which we did. The Best Western Ruby’s Inn, where we stayed, has an ATV rental spot right across the street. This hotel was great because it had a market along with a restaurant inside, which was a welcome for weary road trippers. 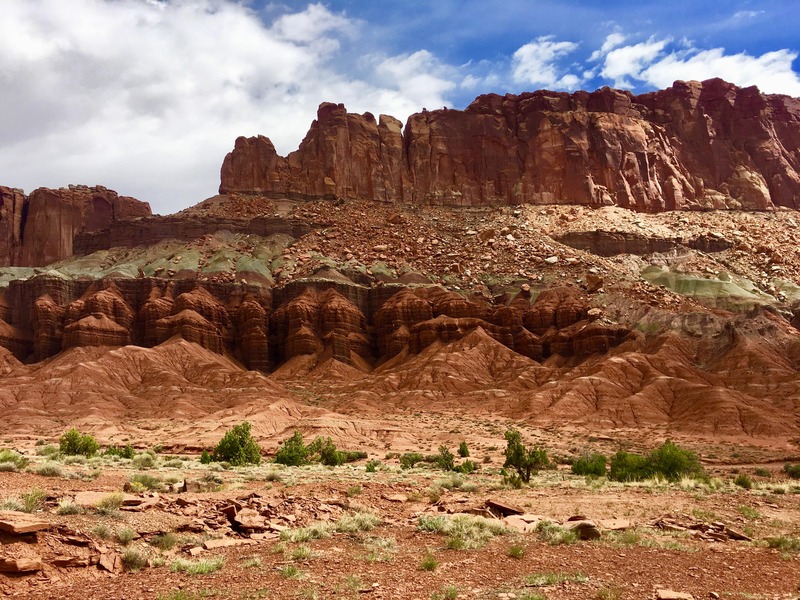 Next, we ventured to Capitol Reef National Park in Utah, a two-hour drive from Bryce Canyon. 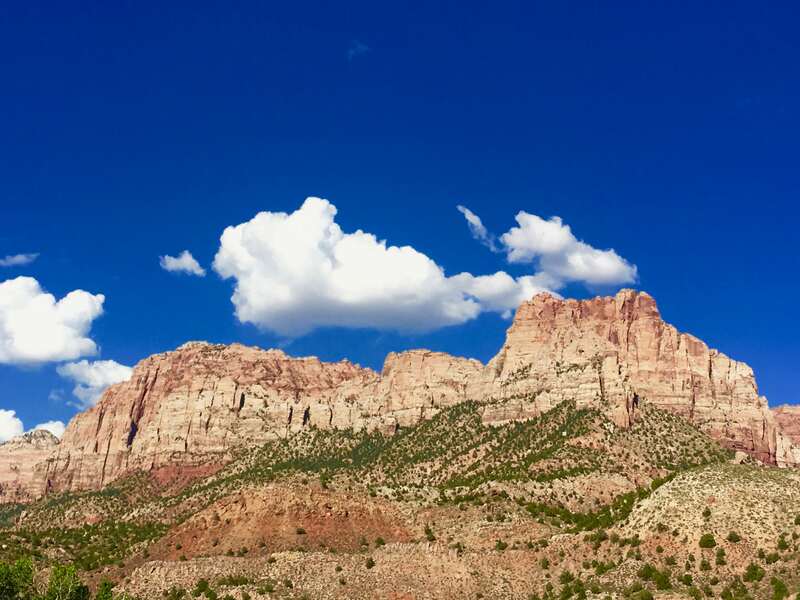 The sandstone cliffs are amazing and you can tour the park without getting out of your car by simply taking the 8-mile scenic drive behind the visitor center. 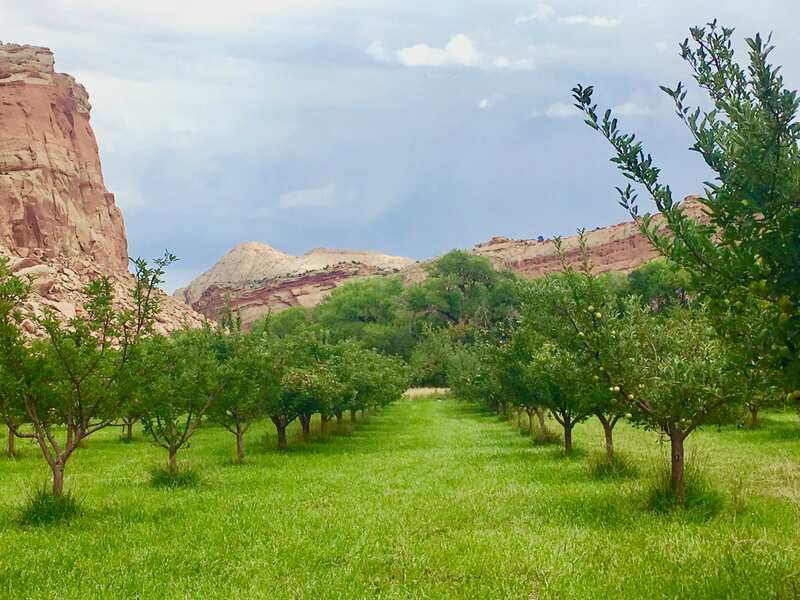 You can stop by the historic orchards and pick your own fruit in season. 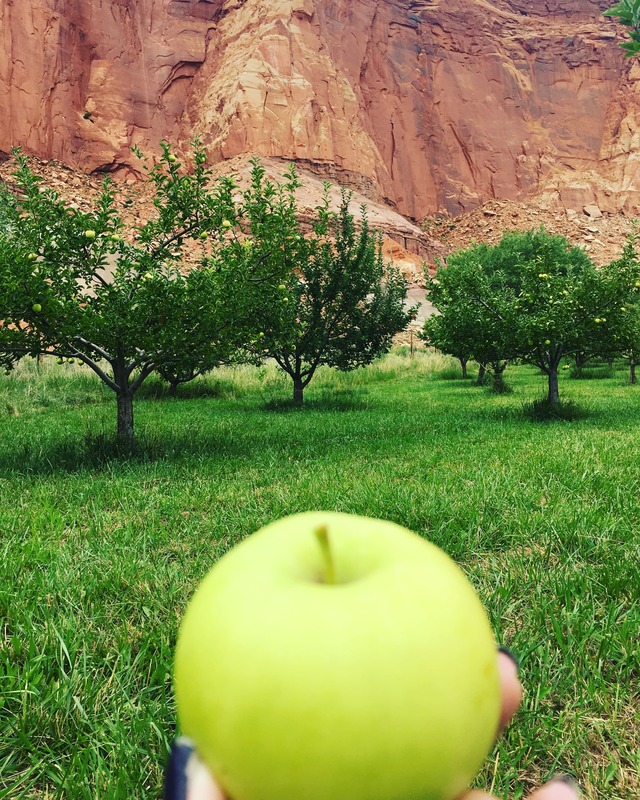 We were there for apple picking. 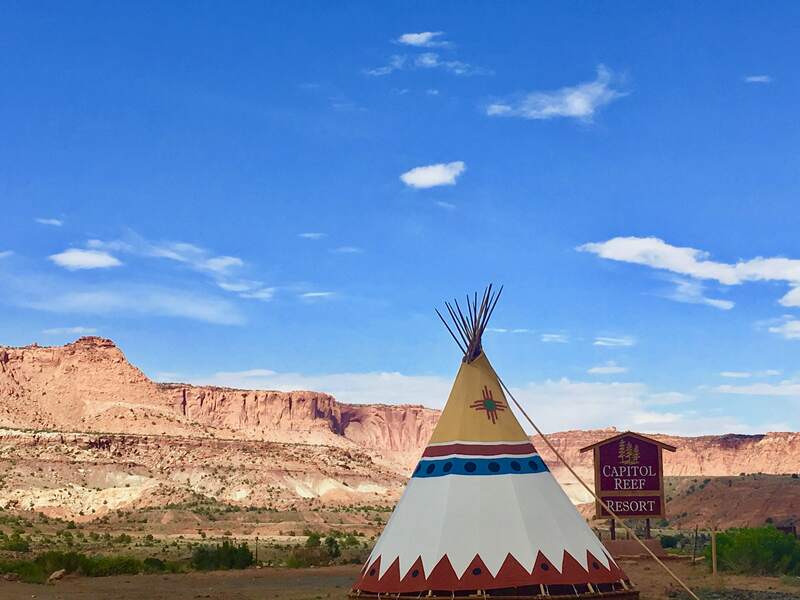 The main draw to Capitol Reef for me was the luxury teepees at Capitol Reef Resort, which did not disappoint. 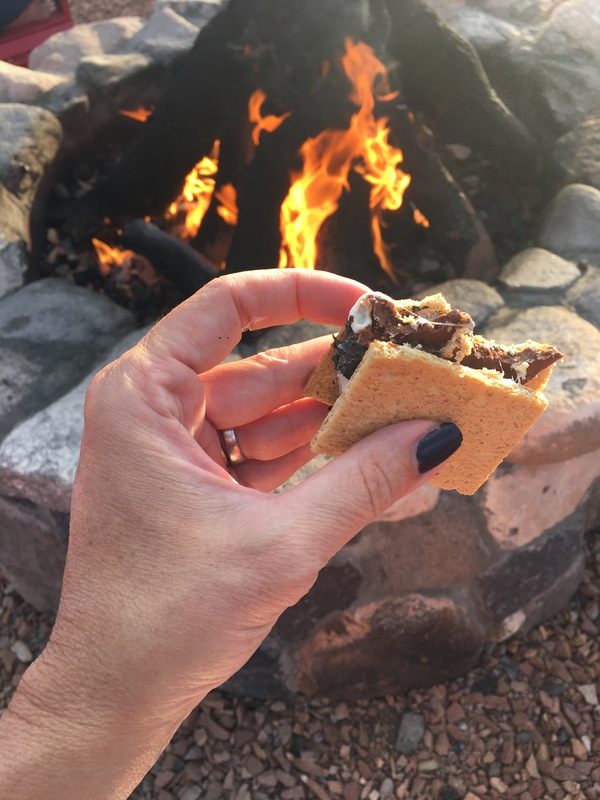 The teepees had a fire pit outside for roasting s’mores and the front desk sold s’more’s kits to make it easy. We meant to go horseback riding as our excursion but had to cancel due to my altitude sickness. Hydrate! Hydrate! Hydrate! I can’t emphasize that enough. 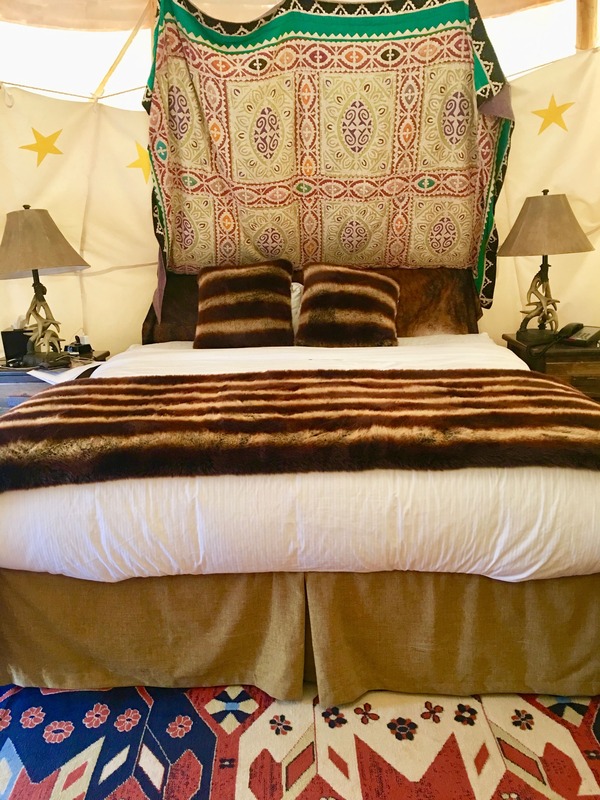 Although I didn’t sleep most of the night, the teepees come equipped with personal bathrooms which made it much more bearable. 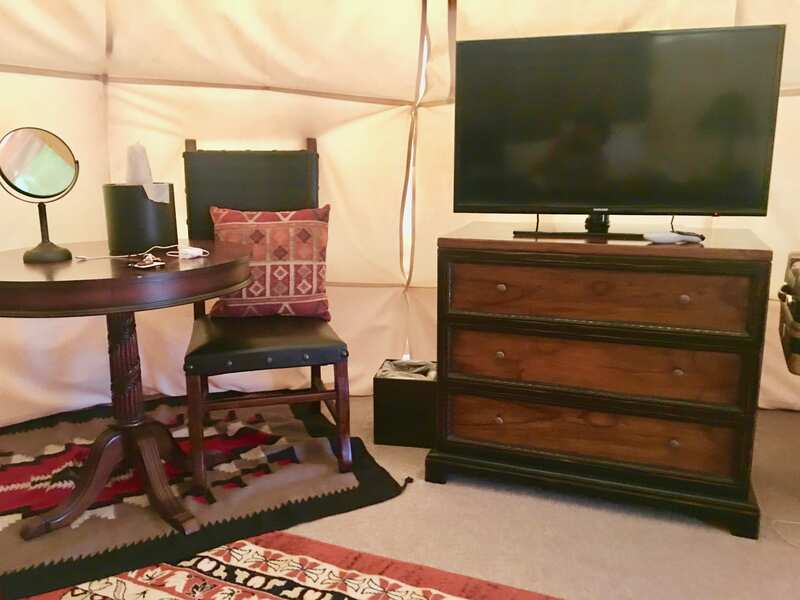 If teepees don’t interest you, you can choose to stay in a covered wagon instead. Capitol Reef National Park is designated a Gold Tier International Dark Sky Park, making it one of the best places on Earth for stargazing. 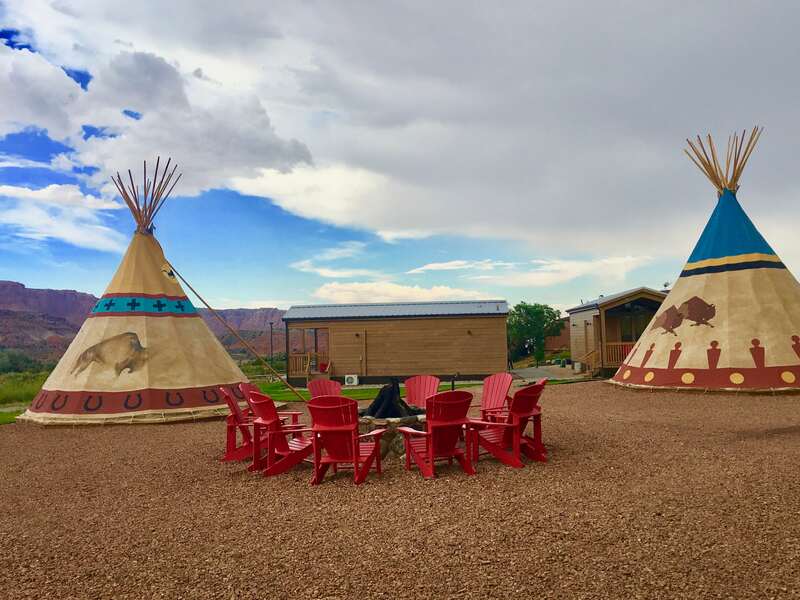 On the way from Capitol Reef to Zion, stop in Escalante at Kiva Koffeehouse. The view and the coffee are awesome. 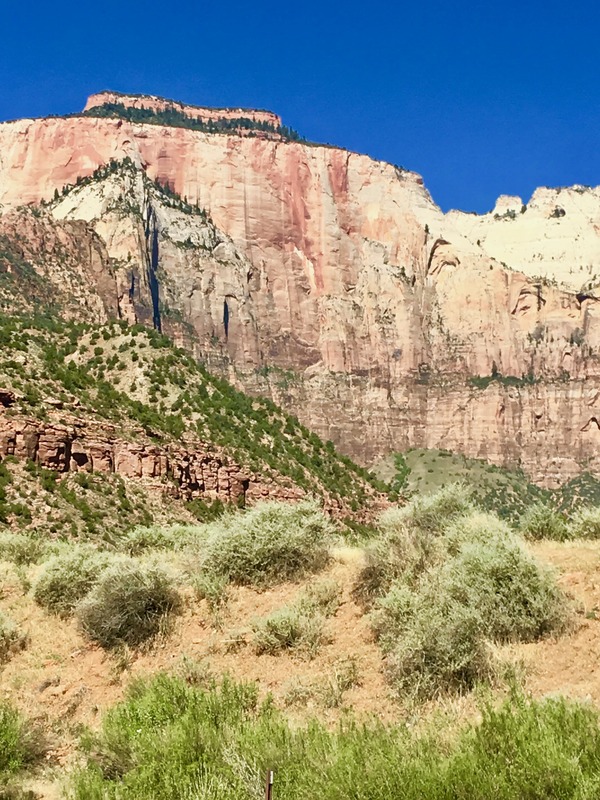 Zion was next on the itinerary and was a 3-hour drive from Capitol Reef. We stayed at the Hampton Inn and Suites in Springdale, which is a perfectly situated just down the road from Zion National Park. 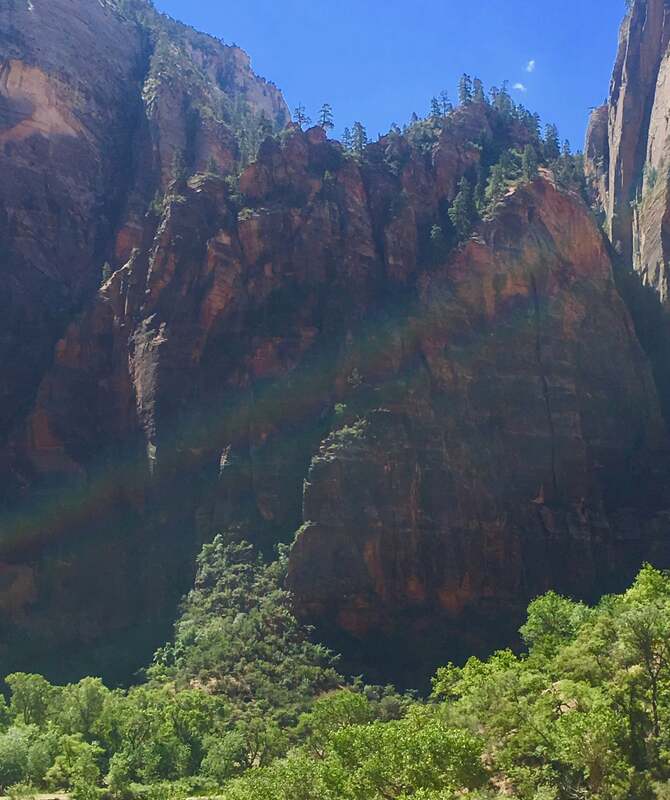 By the time we reached Zion, I was so overcome with headaches and nausea from the altitude sickness that I unfortunately could not enjoy it much, however we did manage to take a lovely bus tour of the park that allowed me to capture gorgeous photos like this one. 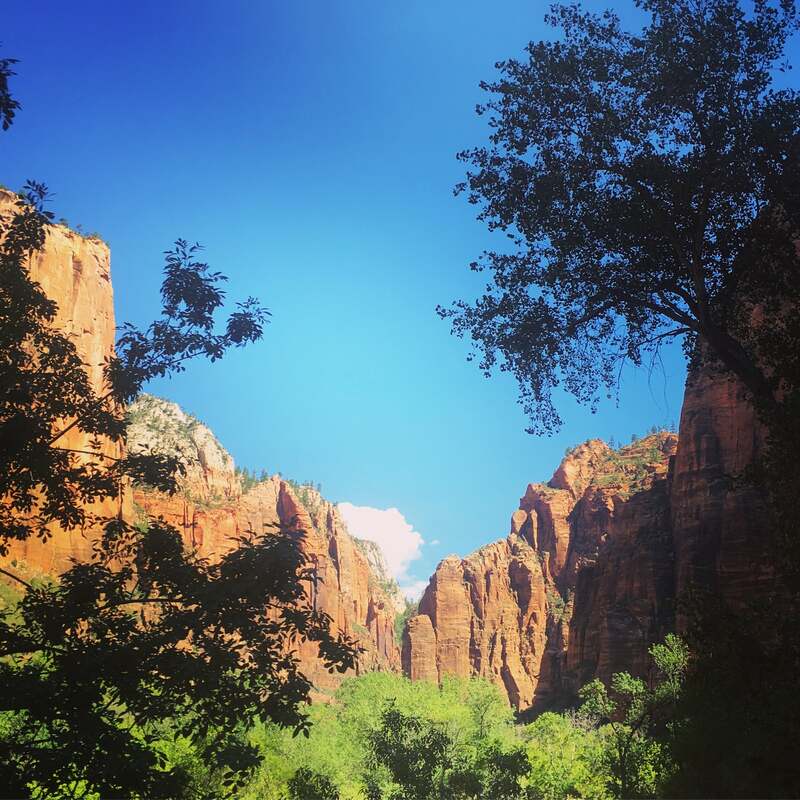 There are magnificent hikes in Zion but they are not for the faint of heart. As non-hikers, we opted out of Angels Landing, but if you can brave it the pictures you can take are worth the trek. One of the goals of our road trip was not to have to drive for more than 4 hours a day. We broke that rule only on the first leg of the trip out to the Grand Canyon. 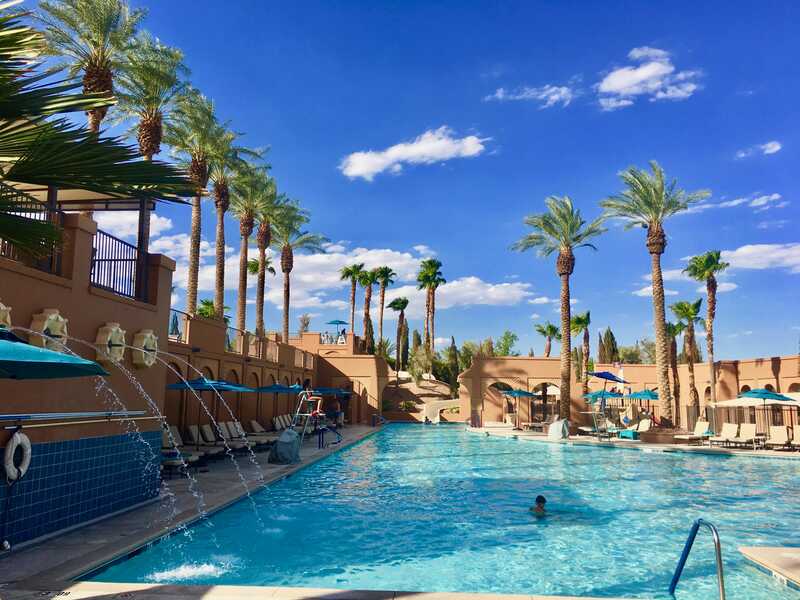 For this reason, we added Lake Las Vegas to the itinerary on the way home. A 3-hour drive from Zion, it served us well as our last stop before driving back to LA. 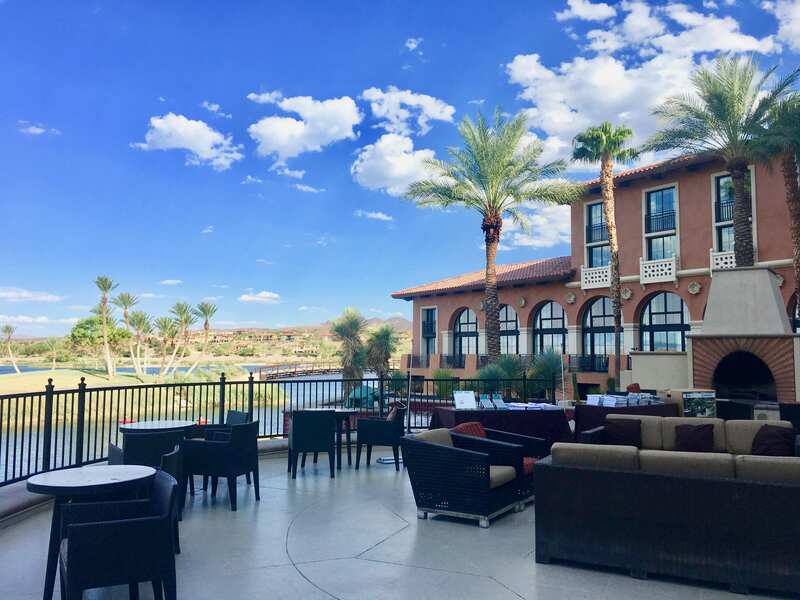 We stayed at the Westin Lake Las Vegas, which offers a super reasonable price for a 4-star luxury hotel. It was nice to just relax and enjoy the pool for a day before heading home. 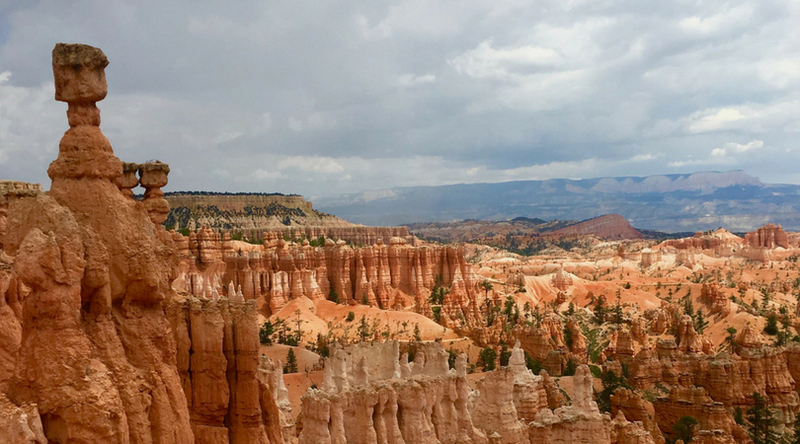 Cell reception can be spotty in the National Parks. To ensure a smooth navigation experience, pull directions from place to place and print them out before your trip. 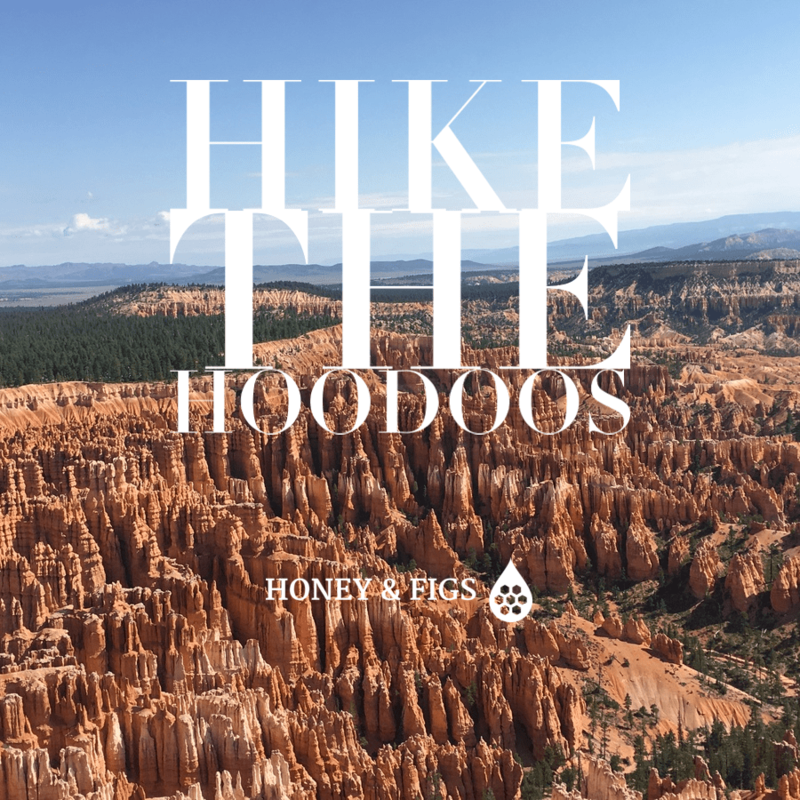 Sign up for the Honey & Figs Newsletter and get the Ultimate Southwest Road Trip Itinerary Cheat Sheet FREE! 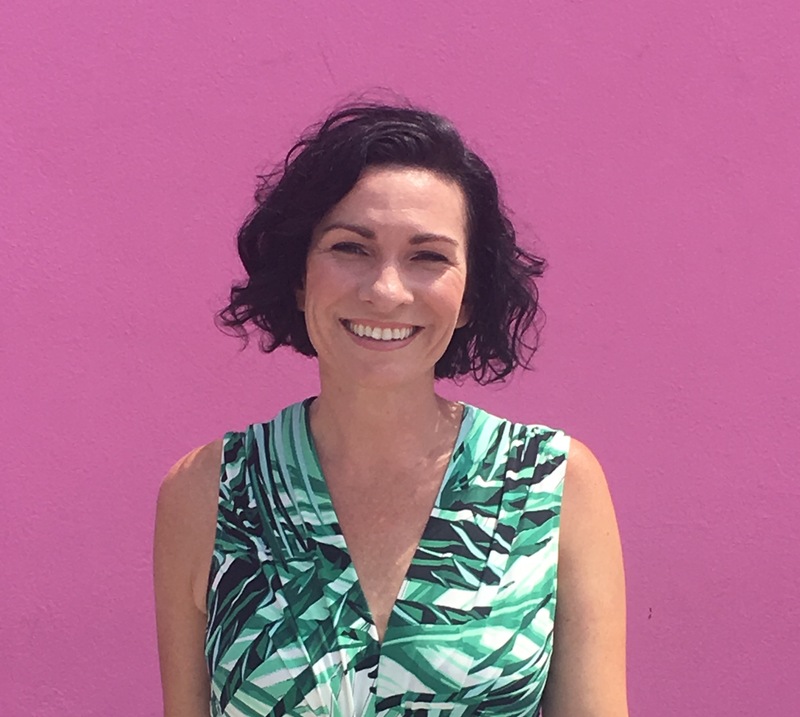 I consent to receive content, information about services and special offers from Honey & Figs via email.